Does LSD stay in the spinal cord forever? No. LSD is cleared from your system as soon as its effects wear off. With a half-life of 2.45-5 hours, the drug needs between 15 and 36 hours to leave the system of the user. Note that the way of administration affects the duration and the elimination of the drug. Injecting LSD can lead to quicker absorption. Standard tests can’t detect LSD. However, some more advanced and expensive techniques can identify the drug. Note that usually the cut-off levels are set low. Urinalysis can find LSD for up to 2-5 days and in the blood for up to 3-12 hours. Hair and swab tests are uncommon when it comes to detection of LSD. LSD is one of the most controversial psychedelics. Used for recreation or spiritual journeys, the drug usually clears out of the system as soon as its effects wear off. The drug leaves the system of the user within 15-28 hours. There won’t be any signs of LSD or its metabolites about 24-36 hours after intake. People believe that a small amount of LSD can stay in the spinal cord forever. However, no scientific data can back up this myth. Although it was accepted that LSD half-life is 2.45 hours, recent research shows it’s over 5 hours. Taking this into account, LSD needs approximately between 15 and 28 hours to leave the system of the user. Since then the withdrawal symptoms of LSD may take place. With a plasma half-life of 2.5-5 hours, the effects of LSD can be felt 10 minutes after injecting the drug and 20-90 minutes after taking it orally. The effects of the drug last for up to 6-12 hours. Dosage: Most users take between 40 and 500 mcg. In fact, 100 mcg LSD can be detected via radioimmunoassay at around 30 hours. This time is prolonged for larger doses. Purity: The purity of the product also affects the elimination of the drug. Analogs can lead to variations in duration and disposal. Also, the way LSD has been stored also affects the drug. Individual differences: Age, weight and other personal characteristics influence the effects of the drug. For instance, people over 65 process the drug at a slower pace. Lifestyle: Our diet can influence the effects LSD has on us. It’s believed that acidic meals lead to quicker elimination. What’s more, taking LSD on an empty stomach can lead to more intense effects. Regular exercising and staying hydrated are some of the factors that can help users clean their system (supplements are also helpful). Genetics: Due to the enzymes involved in LSD metabolism, some genetic differences can also affect the way LSD is cleared from the system. Health conditions: The overall health of the user also influences the effects of the drug. Usually, renal and liver damage can lead to difficulties with the elimination process. Polydrug abuse: Note than mixing drugs can lead not only to prolonged elimination but overdose and severe side effects. The metabolism rates also affect the duration and the elimination of LSD. The drug is absorbed by the gastrointestinal tract and reaches peak levels within 10-15 minutes. LSD is metabolized by the liver (by the CYP450 enzyme) and breaks into many metabolites, which are mostly inactive: O-H-LSD, LAE, and 14-hydroxy-LSD. Note that 2-oxy-3-hydroxy-LSD can’t be detected in the blood, but it’s the most prominent metabolite in the urine, which is used to detect LSD intake. Also, this metabolite has a longer half-life than LSD. Only 8% of LSD appears via urinary excretion. The processes after injecting LSD are similar. However, injecting the drug leads to rapid absorption. Standard tests can’t detect LSD. Although some organizations have strict policies, specialized tests for LSD are not common as they’re too expensive. Usually, cut-off levels are set low. How Long Does LSD Stay In Your Urine? Urinalysis can reveal LSD use. LSD and 2-oxo-3-hydroxy LSD can be detected as soon as 3 hours after intake, for up to 2-5 days. How Long Does LSD Stay In Your Blood? Blood tests can also be used; the drug can be detected up to 3-12 hours. As this is a short period, blood tests are not very reliable. How Long Does LSD Stay In Your Hair? Hair testing for LSD is uncommon. However, hair tests provide a long window of detection – up to 90 days. How Long Does LSD Stay In Your Saliva? Swab tests for LSD are also uncommon, and as the drug doesn’t show on standard saliva tests, there’s no precise data. Although LSD might clear from your system quick, remember that it can lead to flashbacks and mental disorders. In case you’re struggling with LSD addiction, find the best rehab near you here. 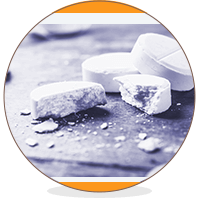 Addiction Resource » Addictive Substances: The Anatomy of Drug Addiction » LSD Addiction and Treatment » How Long Does LSD Stay In Your System?